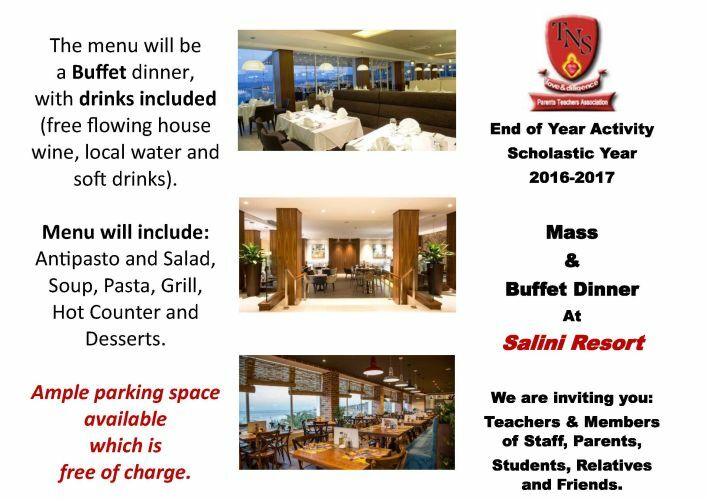 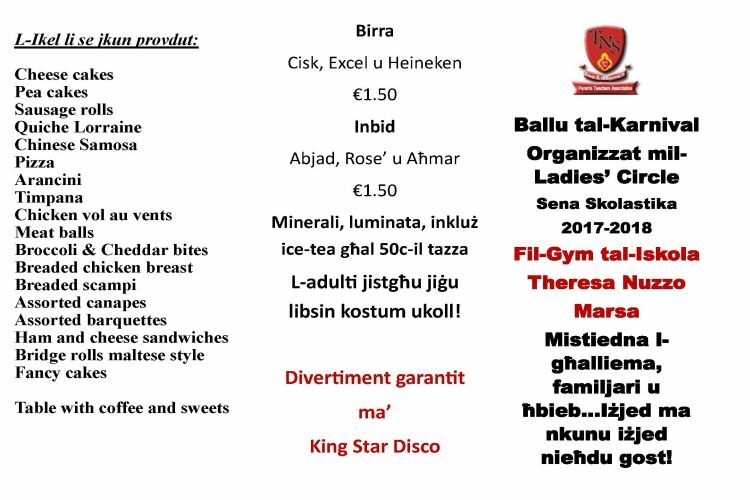 This year’s End of Year Activity is a Buffet Dinner on the 24th June 2017 at the Salini Resort. 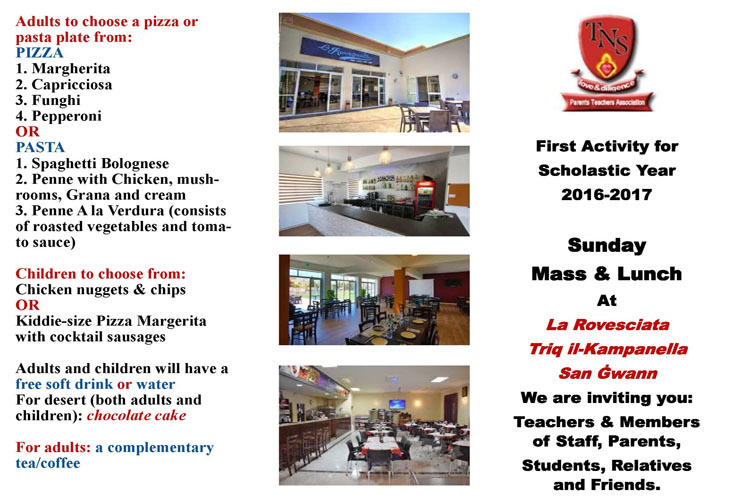 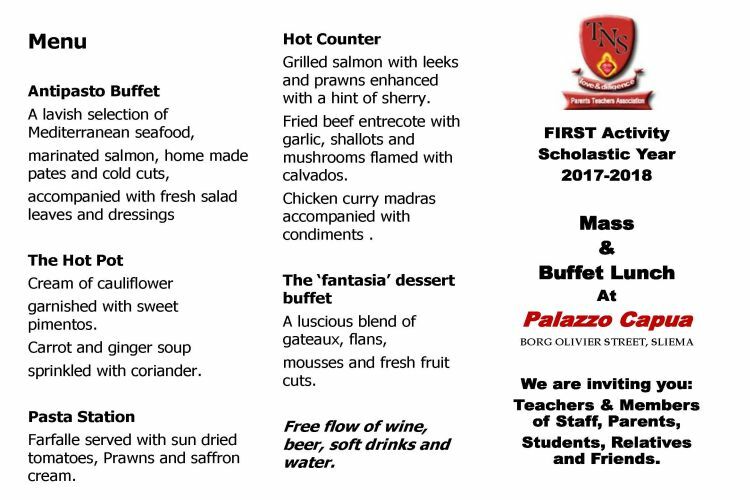 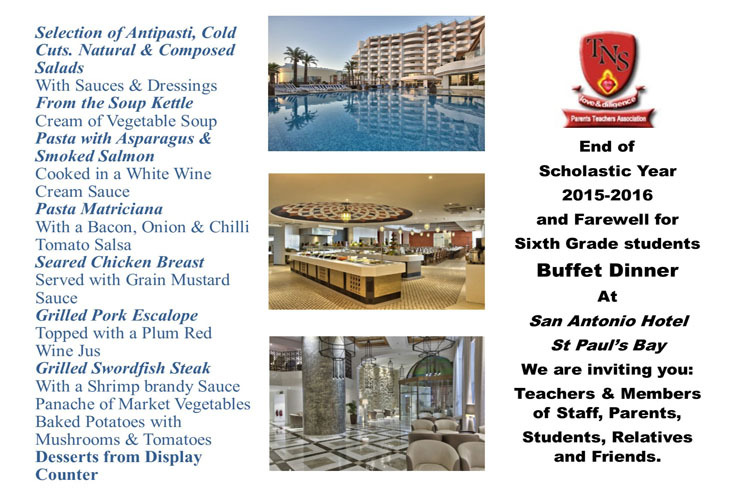 Our last activity for this Scholastic Year 2015-2016 is a Buffet Dinner at San Antonio Hotel, St Paul’s Bay. 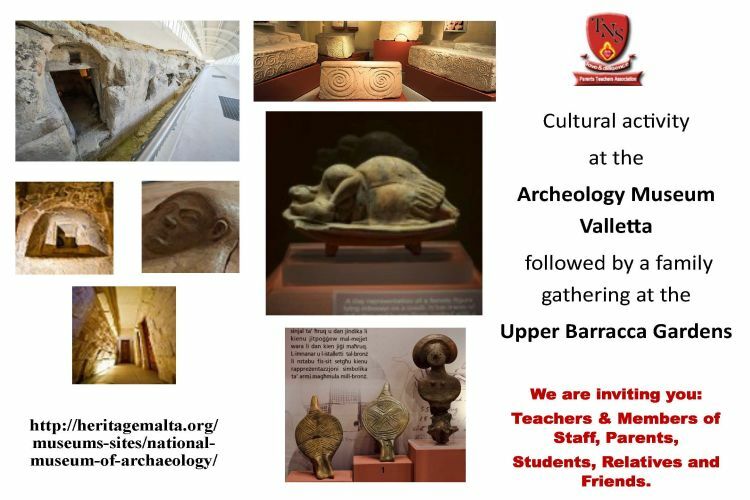 Our next social activity is a cultural one. 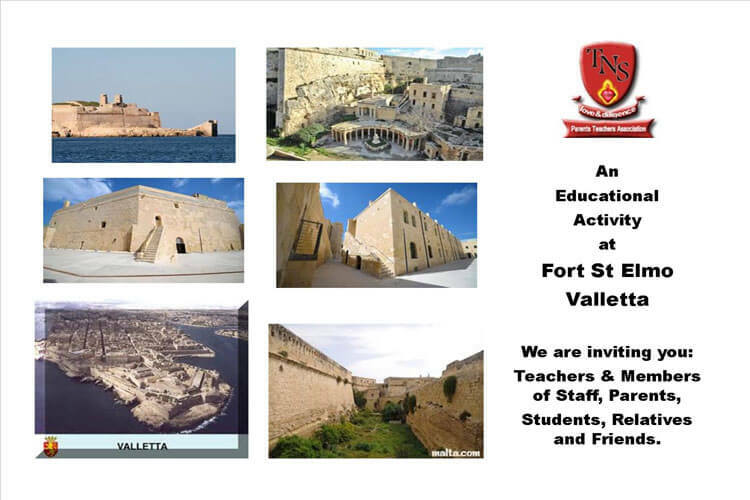 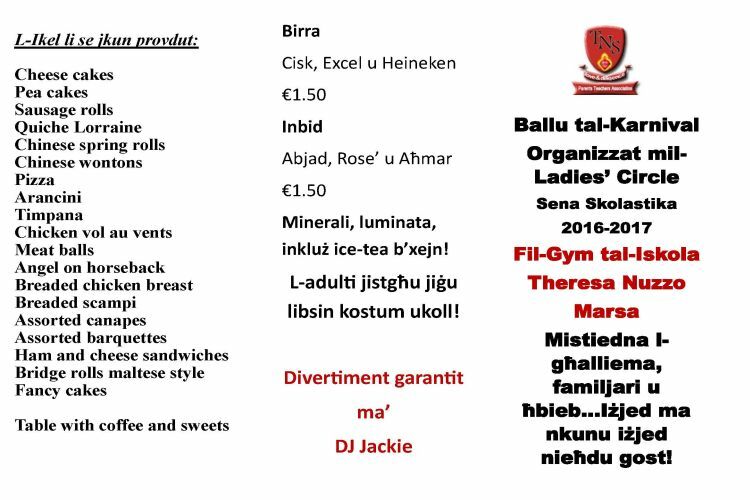 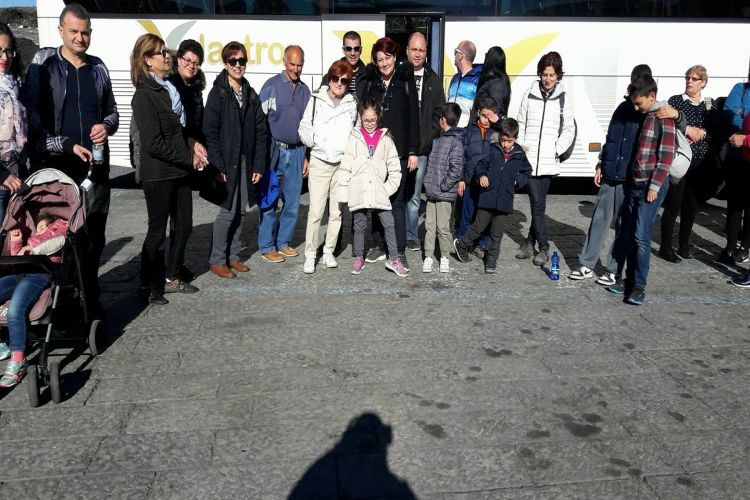 This will take place at Fort St Elmo, Valletta, on Sunday 6th March, 2016. 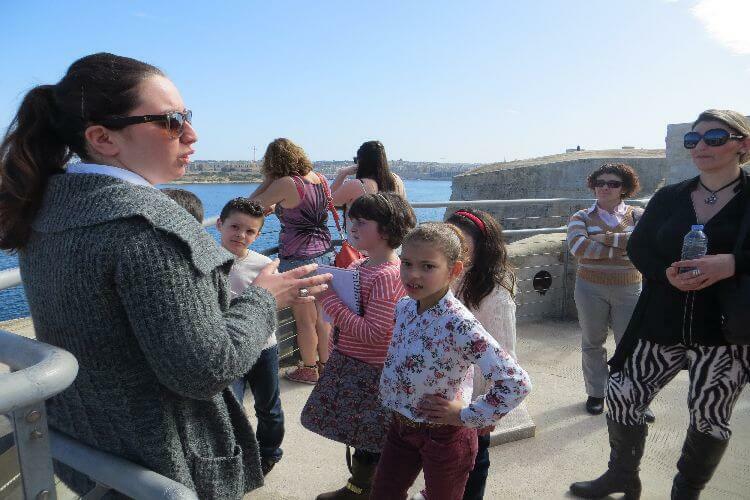 Error: Error validating access token: Session has expired on Saturday, 13-Apr-19 02:13:16 PDT. 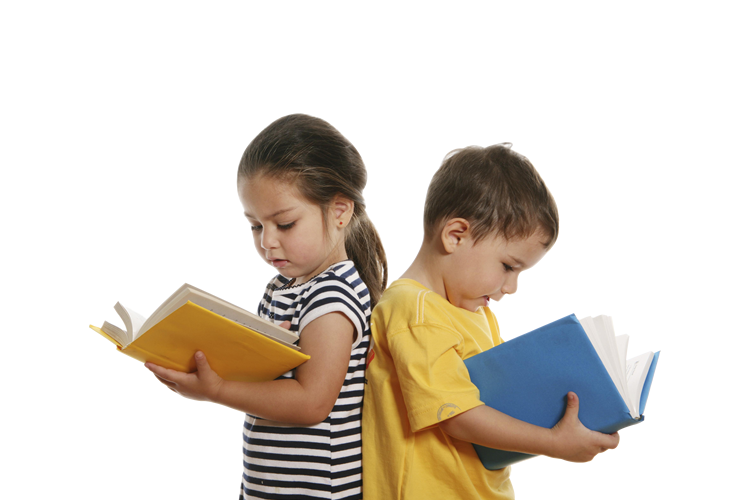 The current time is Tuesday, 23-Apr-19 17:09:24 PDT.